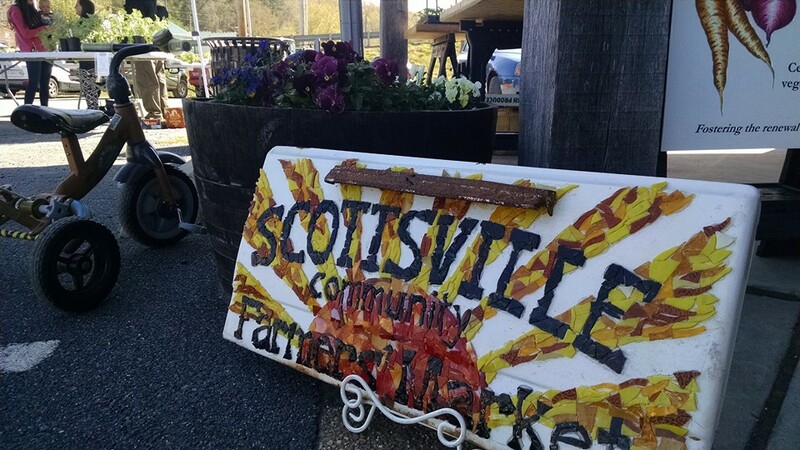 Every farmers market faces the challenge of attracting and connecting with customers and the Market in Scottsville is no different. This small market on the banks of the James River in the historic town of Scottsville strives to connect with vendors as well as customers, while also highlighting everything the town has to offer. My goal is to create a thriving market while drawing tourism to Scottsville. The Market is governed by the Town so I promote all events sponsored by Scottsville in my social media posts, I encourage shoppers to start their “Day in Scottsville” at the Market and then have lunch and enjoy various eclectic shops, special events or historic sites. Being on the James River also provides various water sports during the Spring and Summer. The SFM and the Scottsville Center of Arts and Nature will co-sponsor a Meet your Makers series, which will be a 4-part panel discussion series: Farmers/Producers; Nutrition/Well-being; Artisans; Fiber Arts. Most “Makers” highlighted in this series are vendors at the SFM. These discussions will be held once a quarter. Scottville is a certified Bee City USA town and this year will be hosting the 2nd Annual Pollinator Celebration Day on June 23rd at the Market Pavilion. This event that will link the community and market shoppers to how their food is produced and how farmers can provide healthy habitat for pollinators. As a beekeeper, myself, the direct link to the survival of bees to the success of farmers cannot be promoted enough. The Market has various speakers, and plants for sale that provide forage for pollinators. The most recent event we hosted was the “Scottsville Scoot” which was a 5K and 1-Mile Fun Run. The purpose of the event was to promote healthy active living while raising funds for Scottsville Elementary School. Registration was held at the Market the week before the race and the kids from the elementary school sold small vegetable plants. The following Saturday was the race with the start/finish line next to the Market. I also plan to work closely with the local little league and soccer teams again this year to include children’s activities at the Market since the fields are adjacent to the Market Pavilion. All of these events connect the community to the Farmers Market, and the Vendors to the Community. Healthy living requires access to healthy affordable food.